We are a noteworthy organization in this domain, occupied in providing pristine quality range ofWall Art. 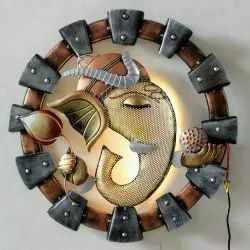 Golden And Antique MS Sheet And Rod Arrow Wall Art, Size: 24" And 36"
दीवार के लिए सुनहरी और एंटीक एमएस शीट और रॉड एरो आर्ट साइज़: 24" और 36"
Can be customised in different designs as per the theme, can be painted also. 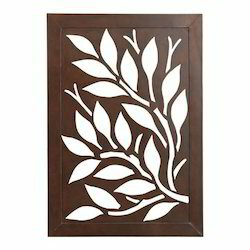 This nature inspired wall art features a branch of tree, laced with sleek coating of antique brass hue on iron. It is an elegant wall art for living room and bedroom to complement modern interiors. Backed by years of industry experience, we are engaged in offering a premium quality range of Wooden Wall Art. Art that is a part of the culture of a group of people, skills and knowledge of which are passed down through generations from master craftsmen to apprentices.